In all of my dozen plus years of travel, one that that is conspicuously missing from my travel-list is my own home state of Tamil Nadu. The fact that it is always inhumanely hot and muggy throughout the year played no menial part in keeping this record going. Having started the season by gloriously throwing off the Taj sized Gorilla off our backs, it seemed appropriate to end the season by throwing off the home state sized languor off our back as well. Moreover, January is the only month when you can delude yourself long enough that the weather is acceptable (if not balmy) to squeeze in a reasonably sized trip. The trip however, started off badly with Pranav throwing up all night on our first night’s stay at our Chennai home. The heat, dust, sweat, mosquitoes and the bucket of pop-corn that we fed him during the day to keep his mind of the said heat, dust, sweat and mosquitoes took the blame for the first travel sickness to hit our crew in a long time. Since all of the trip was to be on the road, motion sickness was gladly willing to take over from where indigestion left. Ondansetron and Promethazine (oh! the wonders of modern medicine; where will we be without you!) ensured that we could quickly put a lid on things and reach Kanchipuram to start our trip as if nothing ever happened the night before. Sight-seeing in Tamil Nadu is a synonym for temple-hopping. Apart from an elephant sanctuary in the west and a couple of poor man’s hill stations, hindu temples and an occasional church is all that is there to fill a travel itinerary. And if you are indeed a casual tourist, you are in luck in Tamil Nadu as most temples here are practicing ones and the pious (who account for overwhelming majority of the visitors) make a beeline to the garba griha and you can have rest of the temple (which houses all the interesting stuff anyway) all to yourself. Kanchipuram, one of the oldest cities in the nation, is a prime example of this rule. It was ruled by everyone and their uncle of South Indian history, each one trying to leave their mark on the city’s architecture. The oldest structure of note is the Kailasanatha temple built in 7th century AD by Pallava King Rajasimha. Built in Dravidian style (of pyramidal towering vimana and underwhelming gateways), the temple serves as a good history lesson of the gods and deities in vogue at that time. The largest temple in town is the majestic Ekambaranath built in 16th century in Vijayanagar style (of trapezoidal towering gateways and underwhelming vimanas). The most ornate is the Devarajaswami temple housing breath taking chain carved from a single stone adorning the four corners of an impressive marriage hall. Vaikunta Perumal temple, another Pallava gem, is quite similar in style to Kailasanatha. The most famous temple in Kanchipuram is Kamatchi Amman temple and this one is only for the pious as it has very little of worth for a casual tourist. Our next stop was Vellore, located about an hour and a half drive west of Kanchipuram. Vellore houses an impressive fort, the site of the first organised mutiny in Indian History. This pre-dated the more famous Sepoy Mutiny by half a century, but mirrored it in every aspect. Fort houses a 16th century temple (Jalakanteswar), whose marriage hall itself is worth all the trouble taken to get here. This stunning monument was slated to be dismantled and taken to Britain and thanks to an untimely ship wreck, the said dismantling never happened. Vellore now houses a modern looking Golden Temple built in early 21st century reeking with the pomp and glitter expected of a modern building. It is a pity that crowd is heavily controlled in here and one is not allowed to wander around and enjoy the place at one’s own pace. A long bumpy ride on one-lane country road eventually brought us from Vellore to Puducherry, a beach side erstwhile French colony and a current Union Territory of India. Roaming its beaches and checking out its churches gave us a break from the temple-hopping. Temple-hopping promptly resumed the following morning with a drive to Chidambaram. 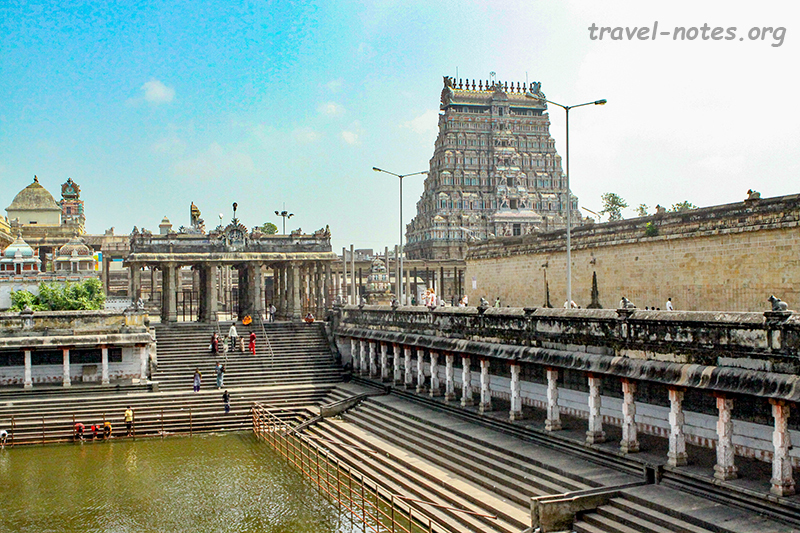 Chidambaram is home to the greatest Siva temple on the planet – the Nataraja Temple. The temple dates to about the Big Bang (if you are a devotee) and to the 12th century (if you are a historian). Siva is worshipped here not as a lingam (the traditional form in which he is generally worshipped), but as Nataraj, the lord of dance. This is the site where he out-danced Kali his wife – his stance of vertical split couldn’t be duplicated by Kali as she was strangely overcome by a Victorian sense of modesty. 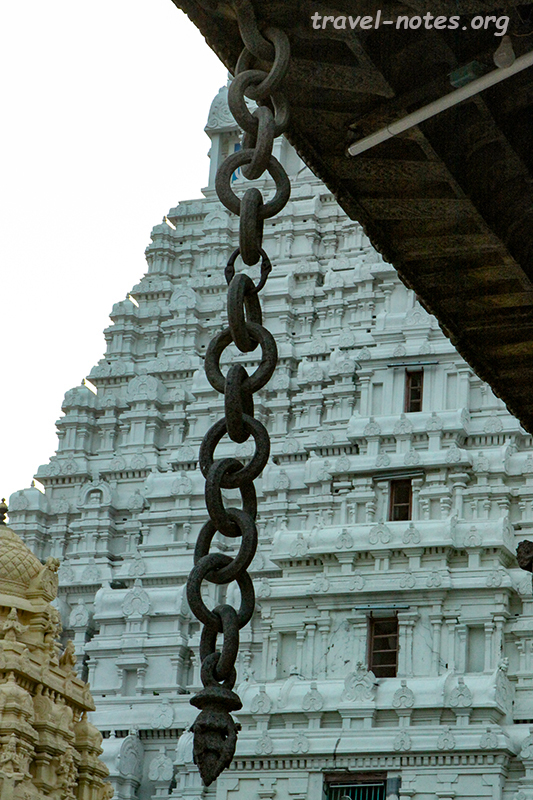 The temple houses a giant tank (called the Siva Ganga), a long 100 pillared Raja Sabha along its length, four towering gopurams (or gateways) and a dance hall where the above mentioned dance competition was said to have taken place. 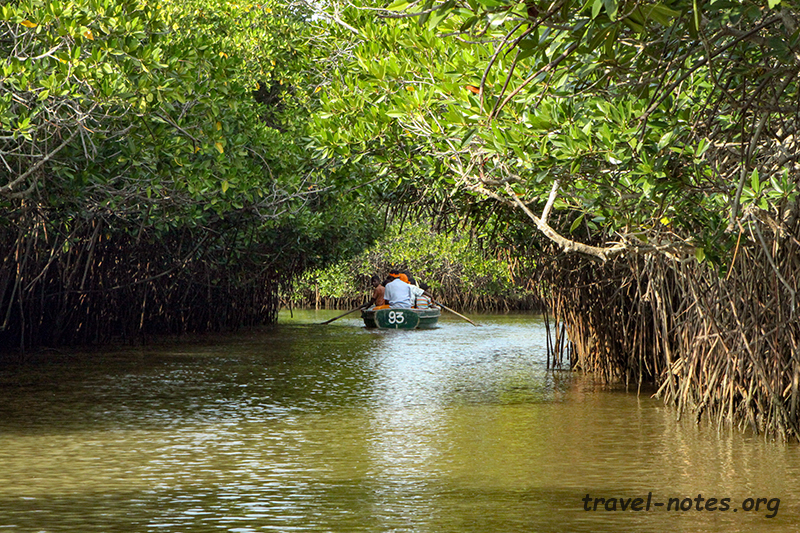 10 kms from Chidambaram is the mangrove forest of Pichavaram. As heat and exhaustion had taken over most of the travel crew by now, I spent a lonely afternoon paddling through its back waters. 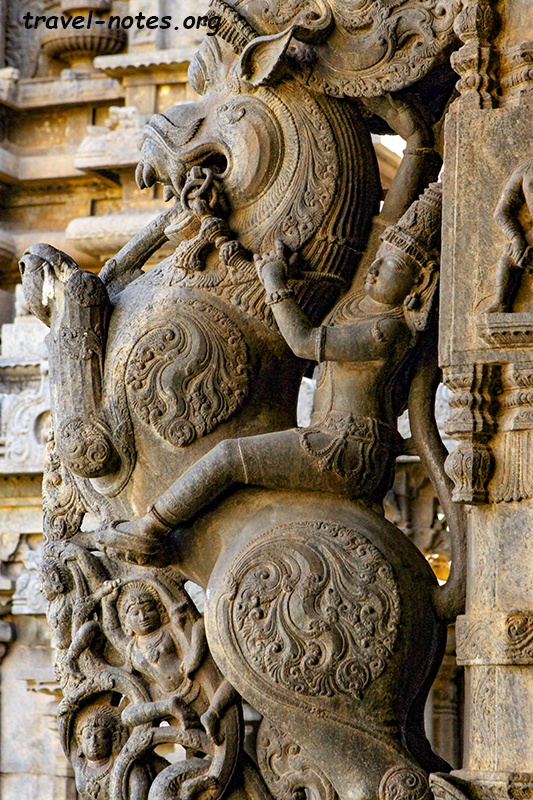 A couple of hours south of Chidambaram is Kumbakonam, the temple heartland of Tamil Nadu. There are probably more temples in this region than the number of days in a human life required to visit them. We sampled three (Kumbeswaram, Sarangapani and Nageswaram to give them names) and spent most of the time in the two that is historically most significant. 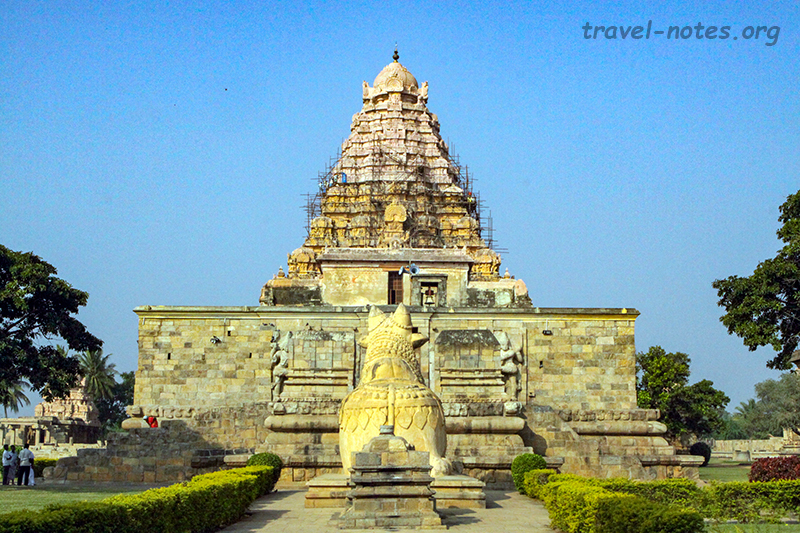 Brahadeeswara Temple in Gangai Konda Cholapuram and Airavateswara Temple in Daraswaram (along with the more famous temple of Tanjore) form the UNESCO World Heritage Site of Great Living Chola Temples. Three generation of Chola Kings built these temples over a period of hundred years. The 1000 year old temple built by Raja Raja I in Tanjore is the oldest (which we had left out of this trip due to lack of time). Raja Raja’s son, Rajendra built the temple in Gangai Konda Cholapuram in a new capital that he founded after his victory over the northern kingdoms of India. Rajendra’s grandson, Raja Raja II built the temple in Daraswaram. All three temples are built in Dravidian style with towering vimanas exploding with carvings. These temples were truly the highlight of our trip and sitting in their shadows and reminiscing over the might of Chola empire and the talent of its craftsmen was a great way to bring an end to the 2012-2013 travel season. Hopefully we have collected enough memories to help us plough through the mundanity that is staring us menacingly till the next Thanksgiving. Click here for more photos from Tamil Nadu and Puducherry. Click here for more photos from GK Cholapuram and Daraswaram.